Hope everyone is safe with all the high winds around at the moment. Good for drying the washing but not good for our walks to the seafront. 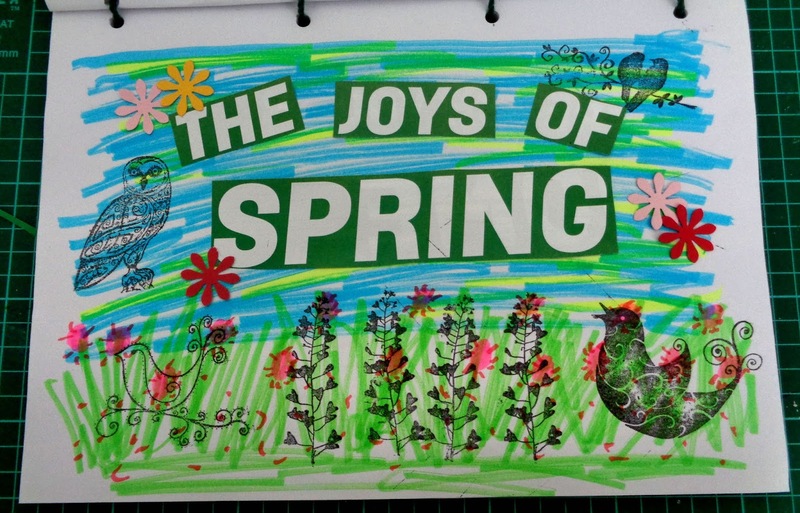 At Art Journal Journey this month Jo has chosen the theme Hello Spring. I added another page to my scrappy journal. I try to add some things from a magazine or newspaper in this journal. I felt like I was still a child when I scribbled the background. Sometimes doing the simple option feels so good. To that I added the words from an Argos catalogue and did some stamping here and there. Last thing to add were the cut-out flowers. 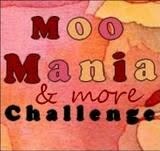 At Moo Mania and More the theme they have chosen is close to nature. Another page in the same journal for this challenge. The background is chalks in various colours blended together. 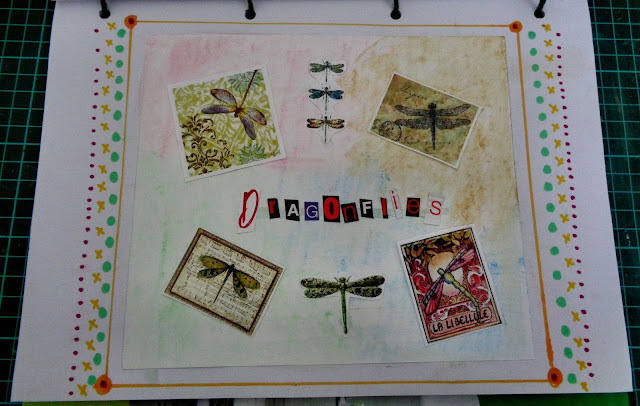 Then I used the Geckogalz Darling Dragonflies sheet and cut out some of the images from it. The letters were cut from various magazines to spell out the word. I drew around the edges with Sharpies pens. I can imagine how fun it was to scribble the background - it's a fabulous page and also the elegant dragonflies page is so beautiful! 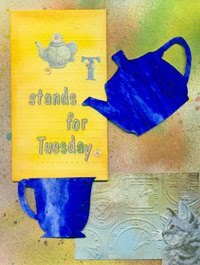 Thank you for sharing your wonderful art with Art Journal Journey and Moo Mania & More again! Your support is so much appreciated as you know! 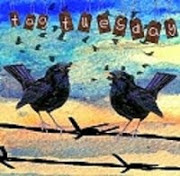 Have a great Thursday dear Chrissie! I love your "scribbled" background, and the chalks look lovely! Two fantastic pages Chrissie and super backgrounds, the bright happy spring colours in the first one look lovely. Its just the weather for staying out of the winds, I don't think any washing would stay on my lines these past couple of days, the wind has brought our back fence down, fortunately with no damage. I think both pages are great. Yes, we too are experiencing strong winds … but no damage to fences like some have had. Love your page, such lovely images and colours. 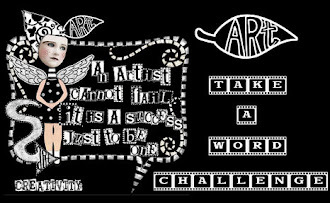 Just popping by for my weekly visit...Fabulous pages for both the challenges! I'm back and will play catch-up as best I can. This has been a very trying time being without internet, but I HOPE this has been the cure. I'll explain on Wednesday, because it's too convoluted to explain here. 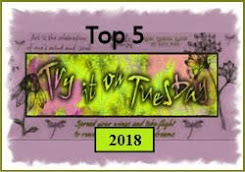 A fabulous Spring page Chrissie and I like your scribbled background and I love the dragonfly images you used. I tried to comment on your other blog, but it said I'm not a team member? 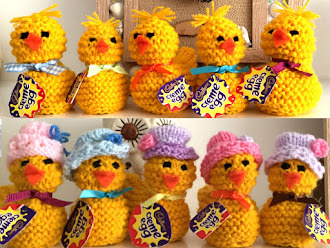 I know I have been a bad blogger lately so an wondering if I've missed something? Sorry to read Vic has not been well after his tooth extraction, must have been painful for him - so pleased he's doing well now. You have been busy - the blankets and pram covers look lovely and I do like the doll in her sleeping blanket.